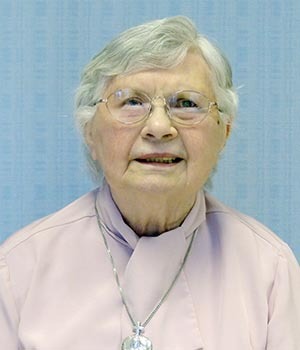 In honor and celebration of Sister Margaret André, we share her story. As I hung up the phone after being asked to provide this memento, I immediately wondered, “How do you tell the story of Margaret André?” Fast on its heels the thought followed, “You don’t.” As word of Margaret André’s death spread, stories began flooding in from sisters, from my “Trinity” bandmates and others whose lives she so deeply touched. Each of us had a special experience of Margaret André and we all have similar stories. But no one of us can tell the story. That is why we have wakes, gatherings and funeral services. Because we must share our stories. So…How do we share the story of Margaret André? Sister Margaret André was born Patricia Carol Waechter, in Detroit, Michigan, on November 10, 1935, to Andrew and Margie Waechter. She had one sister, Ruth, and one brother, Jerry. All preceded her in death. As Jerry’s daughter, Amy, said in her father’s obituary, like Margaret André, Jerry lived his life, not as a footnote, but as an exclamation point (the dash between birth and death). Can’t you just imagine the heavenly reunion when those two exclamation points met? Margaret André was as multifaceted as she was multitalented. Her story can only be known when each of us shares the facet we knew. Margaret André lived who she said she was, a Catholic woman and dedicated Sister of the Holy Cross. She was filled with zeal, vivacious and whole-hearted. 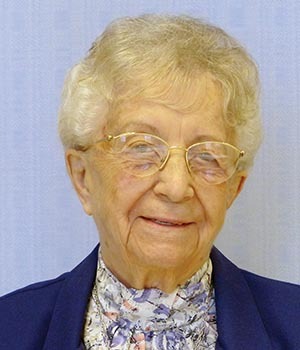 One could truly say she “was the joy of the Gospel.” Her enthusiastic being and deep spirituality touched many lives and nurtured many faith journeys. She never knew how she helped us grow, or how her life inspired us to help others do the same. 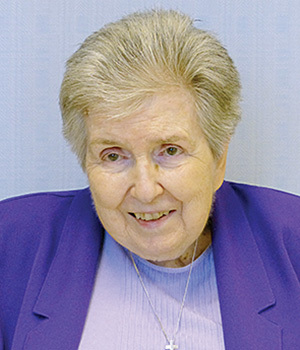 Once Margaret André decided to enter the Congregation, she did not look back. 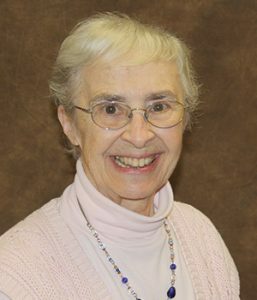 Her “Let it be done to me according to Your word” attitude led to her profession of perpetual vows in the Congregation of the Sisters of the Holy Cross on August 15, 1961. She lived her life according to a mantra given by her father: “You can do whatever you set your mind to,” this mantra sparked a self-confidence that amazed us. Sister Margaret André did not want to be stuck in music. 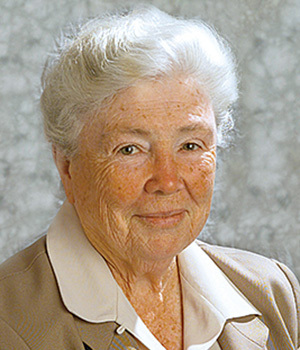 While many of us may know only about her music, her commitment took her into teaching in elementary and high schools, adult education, diocesan liturgical ministry, campus ministry at the University of Texas at Austin, Congregation candidate director for the United States, and, where many of us grew to know her, as the music director at Saint Mary’s. She had us sing the “Hallelujah Chorus,” from Handel’s Messiah for her master’s degree thesis concert for triple master’s degrees in voice, organ and directing. How we loved watching her whole body in perfect rhythm, her feet dancing over the pedals, as she directed us with her head, bringing us in on cue, and singing along, struggling to keep her veil on her head. What a gift it was when she would look up over the organ and smile at us that huge smile. We knew that we had both pleased her and that we really mattered. In her own quiet way, she helped us through some difficult times in our early formation by simply being there. At night when she was in the music room practicing, if a homesick or struggling postulant came in (during grand silence) she would continue playing, ask what music the individual liked, and just let us be. She saw challenges as opportunities for growth and the chance to do God’s work. 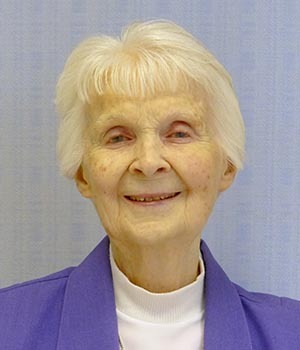 She applied her considerable talents to everything she did, and now, more than 50 years later we are understanding the joy of seeing God’s hand in the events of our lives. Margaret André so lived the symphony of her life that she became the music. 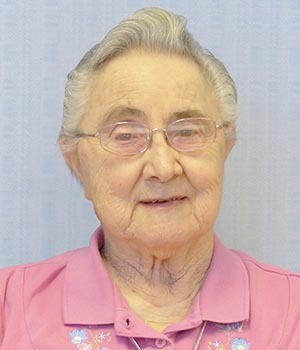 She epitomized the expression, “the eyes are the windows of the soul.” Sister Margaret André had the most expressive eyes and smile, and she just drew people in. How we will miss your bright eyes and your smile. Margaret André’s passing closes another era. I am the last Sister of the Holy Cross who received the holy habit. Fifty years ago this June 10, Sisters Margaret André and M. Brigida (Dwyer) were the two who dressed me in the habit on reception day. Thank you, Margaret André, our lives are so much the richer because you passed this way. 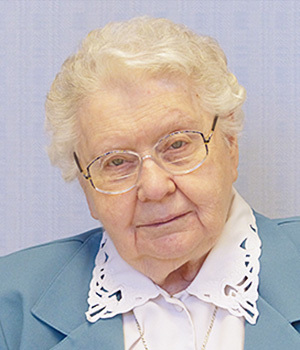 I suspect on Saturday, February 18, Sister Margaret André heard a variation of Psalm 19, a theme that she frequently had us singing. Somehow, I imagine that, as she heard it, she had to go and join the God she loved. “The heavens are telling the glory of God, and all creation is shouting for joy. Can’t you just see her directing the heavenly choir with one hand, playing the organ with the other, and then rounding up all the heavenly residents for a Skip-Bo® card game tournament? You are eternally the Skip-Bo® playing queen! Margaret André, rest in perfect peace. Da yie! 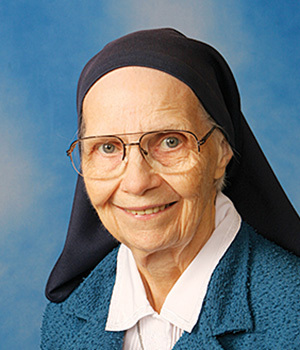 Read more of Sister Margaret André’s story.